I love bangs, layers, curls, and soft beachy looks---but really, I’m up to the challenge of all types of hair. As a working mom and experienced Designer, I can relate to guests who are busy and have a lot on their plate. The time at Mango is their time, and I enjoy nurturing them by offering a relaxing reprieve from their day. BIT ABOUT ME I've been a designer for over twenty years and have enjoyed getting to know guests and transitioning them into new looks. Dana listened carefully to my description of my hair and the cut I liked. She offered creative suggestions which suited me perfectly. Dana is always so great! I always get a great cut and she’s so personable! Great haircut and love comfort of hair wash ststion and spa like scalp massage for hair wash. Top notch. Love that she had notes from last time and could recreate color someone else did. Dana was super friendly and skilled love my cut. Dana gave me the best haircut I've had since I've been in Virginia. I will no longer have to fly home to have someone fix the bad haircuts I receive. Dana fixed a really bad haircut that I got just a week ago. I will definitely be back. Dana always does a wonderful job. She listens and takes her time to make sure the client gets what they want. Dana is wonderful. She has been my hair stylist for years and always takes the time to make sure that she understands what I want. She has helped me try different styles and colors, and always has good advice. I was running late to my appointment and the staff was so nice and helpful in helping me reschedule. Extremely friendly service with a great haircut! Always have come back to Mango because they are quite simply the best! Best haircuts I have ever gotten are from Dana. The receptionist was so pleasant and helpful. Dana is a jewel, my hair looked wonderful. I look forward to seeing her on my next trip to Richmond. The cut and rinse with Dana was the best haircut experience I have had. Always great cut! Dana always listens to what I think I want and makes great suggestions! I've been a loyal client with Dana for over 10 years. She's the best! Dana is always so great! Very sweet and professional. She gave me a somewhat new look and it's great! The staff always makes me feel special and Dana does a great job making my hair beautiful! Always courteous and friendly. As always, I felt pampered and enjoyed my visit. Dana is incredible!!! So talented and wonderful!!! Also, Ashley gave me the best shampoo/head massage!! !Bye, bye stress! Dana's always so personable and professional! As always, Dana does great work and is such a joy to talk to! Always receive great and friendly service from everyone. From booking, to rescheduling, to checking in / out, to actual services. 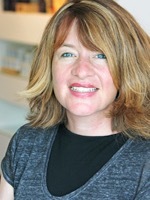 Dana is wonderful and genuinely cares about making her clients happy. She makes suggestions / has ideas, but always works closely with the client to make sure that the end product fits in with what they want. The staff is ALWAYS friendly, makes me feel special! Dana is the best colorist! I am always really pleased and know that my hair is in great hands. Always fabulous, friendly and professional. Anna helped Dana by washing my hair so I wouldn't have to wait. She did a great job and was so nice. Everyone at Mango is always so pleasant! No waiting - stylist greeted me at the door! Everyone at Mango is so pleasant and professional! Great staff! Dana is delightful and her work is thorough. Jean greeted me and made sure all was well with rebooking. Thank you. The online booking was great. I got quick responses and was able to get in quickly. The service is always very professional and cheerful. The service is always very friendly and professional. Always a pleasure. The staff is super polite, professional and thoughtful! The service was very helpful, friendly, timely and professional.